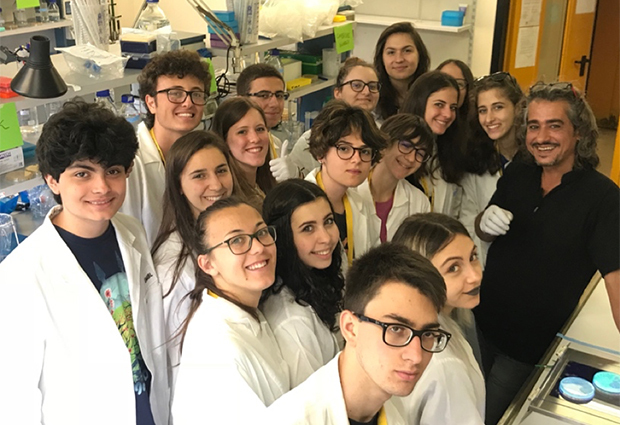 For two weeks, 16 students from around Italy have taken part in the second edition of ‘Summer in Science’, a summer school organised by Adamas Scienza – a non-profit organisation dedicated to promoting scientific culture and innovative methodologies in life science education. Summer in Science is a two-week experience designed to help highly motivated high-school students to get a taste of working in a lab and to better understand how science works. During the first week of the summer school, students attend seminars by EMBL scientists and practical sessions in the lab. The lab training allows the students to develop the skills needed to conduct basic molecular biology experiments. The students were divided into groups and asked to come up with their own strategy to create fluorescent bacteria using the gene for green fluorescent protein. 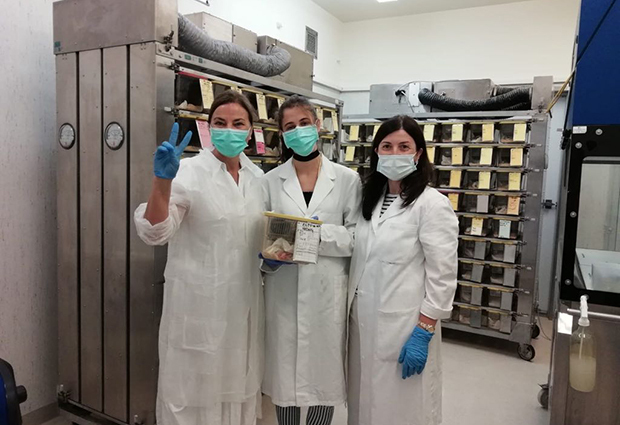 De Lorenzi and Nastasi used each step of the experiment to sharpen the student’s skills. Each unexpected result was an opportunity to analyse why things had or hadn’t worked, acknowledging that there might have been elements unknown to the students at the beginning of the experiment. “We reproduced what research is in a very short amount of time,” explains De Lorenzi. The lab training gives the students self-confidence and autonomy, enabling them to actively participate in the real laboratory experience of the second week. PhD students, postdocs, and research technicians working on a real project agree to tutor one or two of the students so that the students can explore the most recent techniques and research methodologies. De Lorenzi and Nastasi also use science history as a way to introduce new concepts and aspects of research to the students. 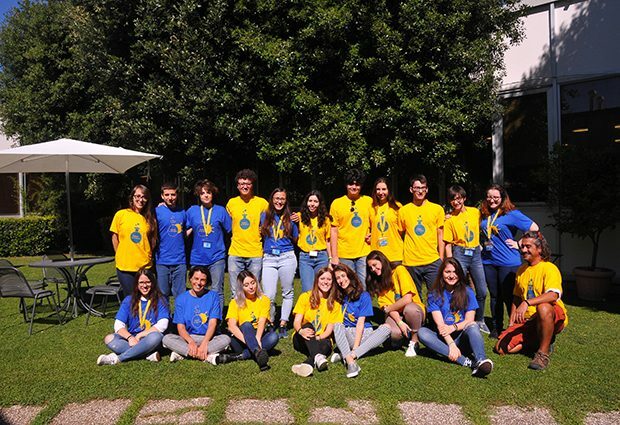 When divided into groups for the laboratory training, each group was named after a famous biological research institute so that the students had to learn about its history and explain it to the rest of the class. At the end of the day the educators give a name or a word – like Kary Mullis, inventor of the polymerase chain reaction (PCR) – to the students, who then do some research on it. First thing the next morning the group comes together to share what they’ve found out, ending up discussing topics ranging from PCR to the use of animals in research.